Mundosparalelos Information Dance Plymouth Half Empty or Half Full? It is now over a week since my last blog and so much has happened that it is difficult to know where to start. The end of 2009 and start of 2010 has been a bit of a rollercoaster and I seem to have gone from very happy to very miserable and back again frequently. Xmas day was lovely and my husband and I had the day to ourselves and no timescale to stick to, we got up when we wanted, ate when we wanted and slept when we wanted, it was sheer bliss but as the day drew to a close I started to feel a bit unwell. Boxing day; I was thoroughly looking forward to spending the day with my Mum and I did my best to stay happy and focused but the virus was starting to set in and I found it hard to be my usual cheery self. By the 27th December I was feverish, weak and generally useless and for 24 hours I thought I may die at any moment! I felt considerbaly more human by the 28th and was able to travel to Manchester to spend the day with my Sister in Law and then to Bradford to spend a day with my Mother in Law. Despite still feeling rough I had a lovely time and really enjoyed seeing the snow covered Penines as well as spending time with my husbands family. My husband & I I travelled back to Plymouth on New Years Eve and that is when the bad news seemed to start rolling in. 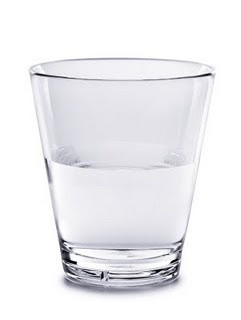 I think when you are feeing under the weather it is easier to see the cup as half empty rather than half full and my negativity wasn't aided by a video I stumbled upon (I have not linked to the actual video for reasons that will become apparent). I, like many people love watching crazy and insane videos on the internet and the video entitled Chinese justice looked merely like a street brawl gone wrong but then it took a savage turn, the video actually showed to Chinese gentleman being murdered. I use the term Gentleman in the loosest of terms as the video suggest that the two 'victims' had actually just murdered 2 women but regardless of their crime I just couldn't justify the level of volence used to kill them and the short video now seemed embedded in my head (especially just before drifiting of to sleep at night). As the countdown to New year began I wished for some happy news to fill my head with but no such luck. The first call was from my Dad to let me know that his partner had been rushed into Hopsital during their holiday in Tenerife, she was not able to be flown home and my Dad could not get hold of anyone to sort out insurance, accomodation etc. The situation with my Dad was hardly cheery but could have ben a lot worse. The next news was that my Mum's best friends Cancer had spread to her liver and she was asked to move from Derriford to St Luke's, she is at home at present but no one should have to suffer in the way she is doing. Then on New Years Day a friend's son woke to celebrate his daughters 1st Birthday, during the celebrations he witnessed someone trying to steal his neighbours car so he ran outside to try to stop the thief; The thief ran over him twice leaving him with mutliple injuries and fighting for his life. John is being operated on today and my thoughts are with him and his family, I hope he makes a full recovery. I started 2010 with many questions and few answers, life can be so cruel and I really wanted something to inspire me for the start of the New Year rather than more sadness to dwell on. Bizarrely the inspiration came from something that should have added to my depression: The Tsuanmi programme on channel 4. OK so the programme wasn't exactly full of cheer but it did offer answers to some questions. One particular quote seemed to stand out for me, it was made by a lady who had lost her daugher in the tsunami and who said that she had to live life to the full to make up for her daughters loss and or all those who had died in the disaster, her husband then commented that he ensures he does something good everyday on behalf of those that did not make it. So that is my New Years Resolution, to remind myself that although life is short and can be cruel we have to make the most of every single second and to try not to wallow in self pity over what are in fact trivial things. I hope this blog has not been too depressing as that was not my intention. I have lots of exciting plans for 2010 and for the art of dance, I am even planning on standing for local council in the May elections. As usual I will keep you posted on all that is happening but I hope you all have a wonderful 2010 and that you make the most of each day and never take anything for granted.